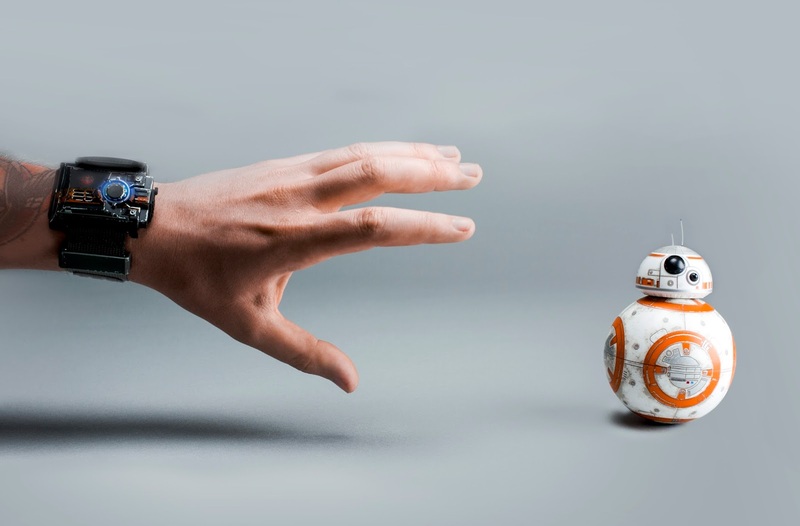 Last year during the approach to the release of Star Wars: The Force Awakens in theaters, the hottest Star Wars item on the market was easily the Sphero BB-8. The tiny toy captured the hearts of millions of fans by realistically bringing to life a Droid we all adored even before we saw him on the big screen. Now, with the release of Rogue One: A Star Wars Story right around the corner, Sphero is giving their BB-8 an upgrade that will change the way you interact and control the droid. Our friends at Jedi News alerted us to a recent announcement by Sphero, in which they unveiled their newest gadget; the Force Band. 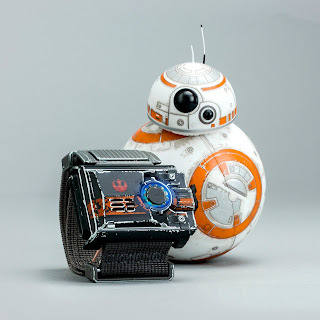 When paired with your BB-8, the Force Band allows you to move the droid about with a simple movement of your hand. Previously the Sphero BB-8 was controllable via an app downloaded to your smartphone. Now Sphero has seemingly granted us the ability to control the toy with the Force. Additionally, the Force Band includes several different modes that allow the wearers to take advantage of more features. The Force Awareness mode, paired with your smartphone, allows for a Pokémon Go-style experience where you will be alerted to "disturbances in the Force" that can be followed to collect relics digitally on your device. And the Combat Training mode will give you the sensation of wielding a Blaster or Lightsaber via vibrations and sound effects. 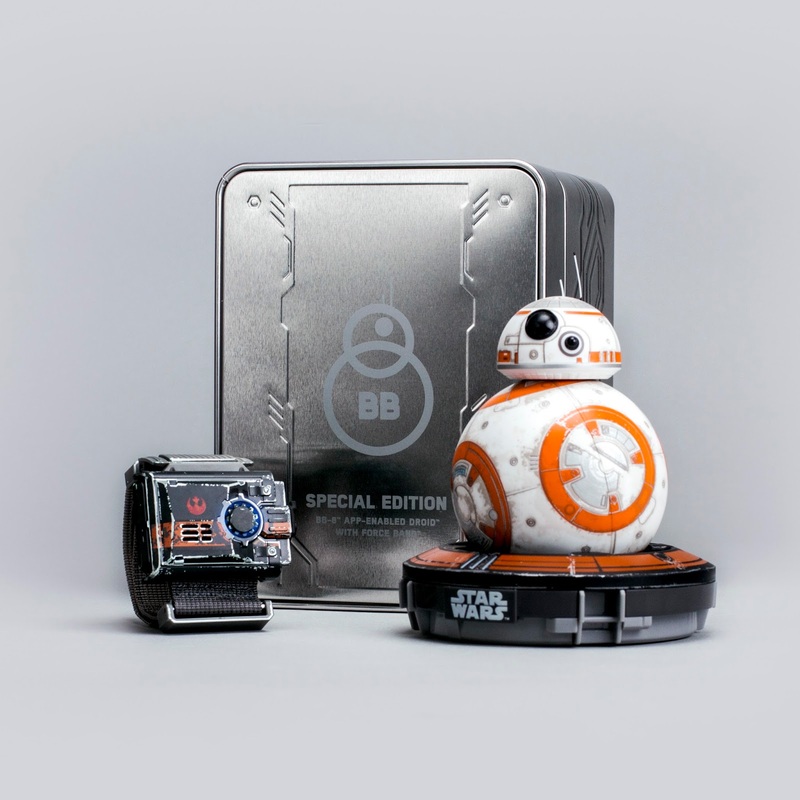 Along with the Force Band, Sphero unveiled a new, collector's edition battle-worn version of the original BB-8 toy. 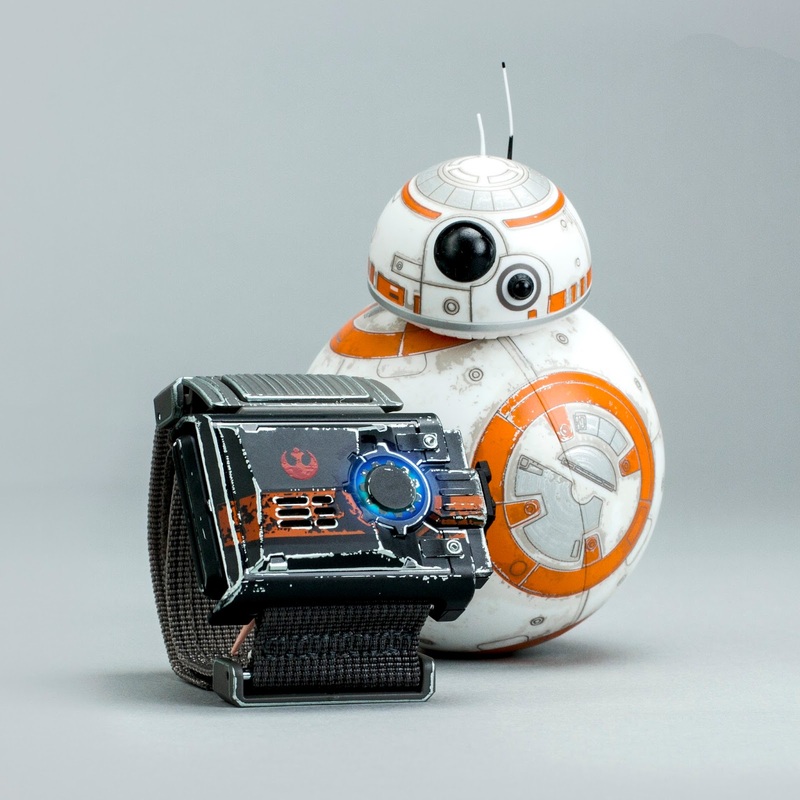 This BB-8 is included in a collector's bundle with the Force Band that is available for preorder now for $199.99. The Force Band is also sold separately for $79.99. Both the Force Band and the collector's edition bundle will be made available on September 30th along with all the new Rogue One merchandise. You can see and learn more by visiting Sphero's official website!